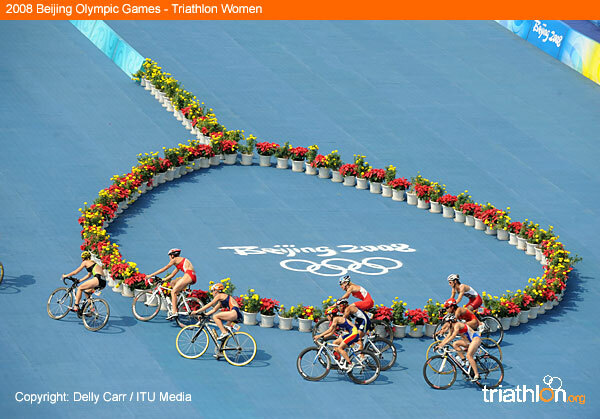 The women’s and men’s triathlon competitions at the Beijing 2008 Olympic Games were rousing success stories, not just for the six medallists but for the entire sport of triathlon. For each day of the triathlon, more than 100 photographers and 100 reporters from around the world came to the venue and were greeted with clear blue skies and sunshine bathing the picturesque course. Also in attendance were a number of dignitaries including Prince Albert of Monaco, King and Queen of Sweden, members of the Spanish Royal Family, Grand Duke of Luxembourg, IOC President Jacques Rogge and many more IOC members including Juan Antonio Samaranch Jr. The men’s triathlon attracted more viewers than any other event (including opening and closing ceremonies) on CBC, the national Olympic broadcaster for Canada. In all, five different countries won medals at the triathlon competitions in Beijing while crowning two new Olympic champions: Emma Snowsill (AUS) and Jan Frodeno (GER). The sport also witnessed the first multiple Olympic medallists: Simon Whitfield (CAN) and Bevan Docherty (NZL). Vanessa Fernandes’ (POR) silver medal was just one of two earned by Portugal in Beijing.